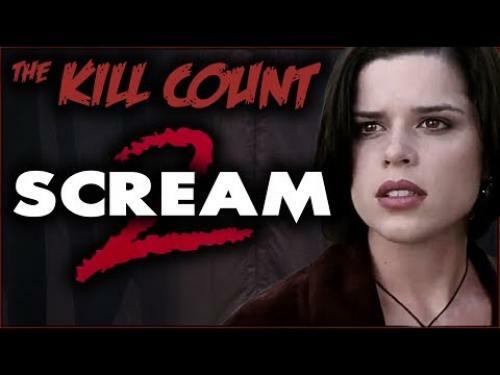 Wes Craven returned to direct Scream 2 (1997) as a new Ghostface killer threatens to terrorize Sydney Prescott’s life. A new slew of murders ensues, and the thrill of it all is finding out who is the new killer. Listen as Dead Meat comments on the death scenes and totals the kill count at the end of this video. Official Synopsis: Two years after the events of Scream, Sidney Prescott and Randy are attending Windsor college. They are trying to get on with their lives...Until a new Ghostface killing spree begins. With the help of Dewey and Gale, Sidney must find out who's behind the murders. As the body count goes up, the list of suspects goes down.